DNA is one of the most important elements in the human body, because it contains every genetic information of an individual. 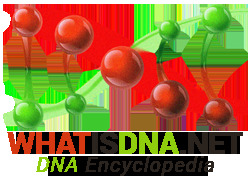 Deoxyribonucleic acid, which is what is DNA, is the hereditary material in almost all the living organisms in the world. As a result, DNA barcoding did not take long to appear. What is DNA barcoding, though? DNA barcoding is a taxonomic method, used to classify and identify species. Before discovering this method, researchers and scientists were using morphological features for taxonomy purposes. Luckily, with the help of DNA barcoding, their job has been significantly eased. DNA barcoding caught the attention of scientists in 2003, when researchers at the University of Guelph in Ontario, Canada, presented this project for the first time. The group of Paul Hebert published a paper called Biological identifications through DNA barcodes, in which they proposed this new and modern system of identifying and discovering species. DNA barcoding implies that the DNA sequence extracted from a standardized region of the genome can identify species. If you want to understand what is DNA barcoding better, here is a correlation that may help you. Think about the barcodes used by supermarkets, which are scanned in order to identify the products you are purchasing. Well, DNA barcoding does the same thing, only with living organisms. Over the years, DNA barcoding has proved to be highly efficient in identifying all sorts of species: butterflies, flies, birds, fish and so many others. Then, DNA barcoding has other significant advantages: it is cheap and quick, so identifying variations among species does not take too much time. Most DNA barcoding projects consist of four main components: the specimens, the laboratory analysis, the database and the data analysis. The process is quite simple, actually. The specimens include all collections of identified specimens until the present day, as the name may suggest. Then, the DNA barcode sequences from these samples are extracted and analysed in laboratories, then run through the database and, finally, examined and identified by finding the closest matching reference record. As you can see, DNA barcoding is not that complicated, but there is no doubt that it is extremely useful.